The first signs of MD involve distortion of vision where straight lines appear wavy or bent, rather than loss of sight. In many cases, MD progresses so slowly that people don’t notice changes until their vision has already been significantly compromised. Ageing is the greatest risk factor. The prevalence trebles with each decade over 40 years. Smokers have a 3 times greater risk of developing MD. They also develop the disease approximately 10 years earlier than non-smokers. Women have slightly higher risk than men. Family history is a risk factor. Genes have been identified and linked with MD. There is a 50% chance of developing MD if there is a family history of the disease. Early detection of MD is crucial as some forms of the disease may be arrested with early treatment. Regular eye examinations are the key to early detection before vision loss occurs. Eat a healthy diet. (See more details below). Consider taking a zinc and anti-oxidant supplement. Eye protection against UV damage. This is especially important before MD develops. Maintain a healthy weight and get some regular exercise (minimum of a 30 minute walk, three times a week). 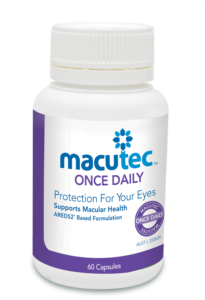 Diet can help with good eye health and there is a recommended eating program that can lower the risk of Macular Degeneration. Scientific studies have shown that MD responds to anti-oxidants and other nutrients. This is not an unpleasant diet, but simply emphasizes the benefits of vegetables, fruit and fish. Vitamin C – Found in citrus fruits, papaya and rockmelon. Or vegetables like capsicum, peas and broccoli. Vitamin E – Found in nuts (almonds, pine nuts, brazil nuts), whole grains, leafy green vegetables, broccoli and carrots. 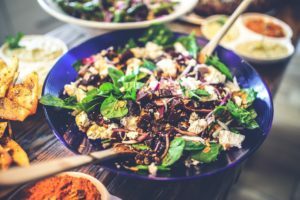 Zinc – Found in meat, seafood (especially oysters), nuts (cashews, pine nuts, brazil nuts, pecans, almonds) and whole grains. 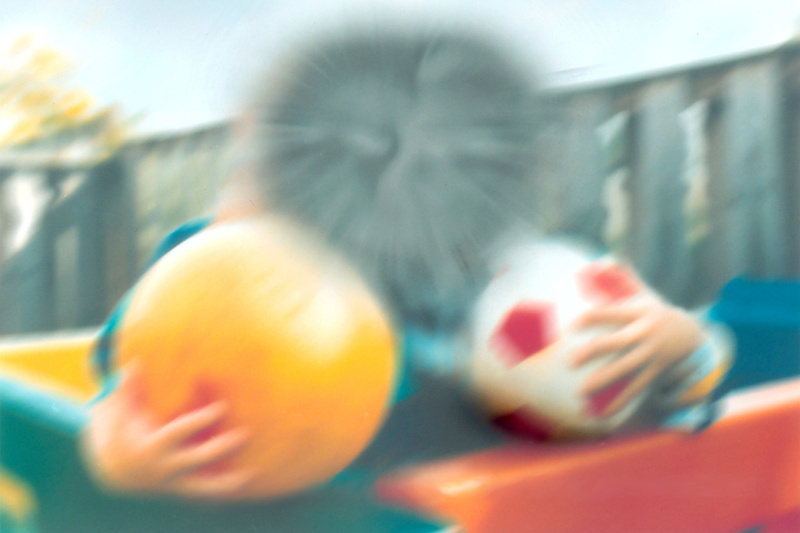 You can also visit the website of the Australian Macular Degeneration Foundation here. Our optometrist Yang will routinely assess all the different risk factors for macular degeneration during each comprehensive eye exam. For existing patients we can advise you on the optimal management for your condition in collaboration with your GP, ophthalmologist and low vision services as needed.